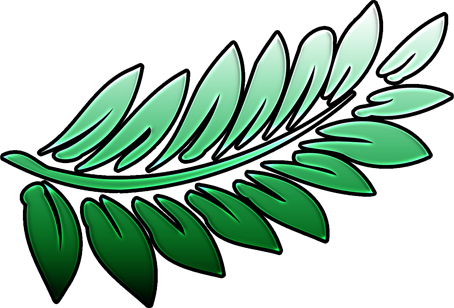 A stylized frond with detached leaves. Doctor Sophos, as a matter of habit, doesn't go about announcing himself loudly -- this extends to his outfit choices as well as how he carries himself, such that not many people even notice when he enters a room... and, even once inside, few people assume he's important unless told otherwise. Adding to his cat-like features, he keeps his facial hair in a medium-length, pointed set of mutton chops that resemble the "beard" of a wild lynx. His olive skin tone is neither tan nor pale and, aside from some laugh lines and wrinkles showing at the edges, bears surprisingly few signs of aging for a man of his years. In fact, many would guess him to be a decade or more younger than he is -- a side effect of the unique path his life has taken, along with his holistic outlook. The one feature that truly betrays his age is his eyes; no one would mistake the look in those eyes for that of a younger man, certainly. From his humble beginnings, few would have guessed that young Budonoki would grow to become the sort of man he would eventually become. Born in a small, predominantly Faunus farming community in southwestern Anima, greatness seemed almost as far away from the young boy as the stars themselves. Each day was hard toil, each season one of continual labor just to get by -- it was the only life his family had ever known. Yet, in the back of his mind, Budonoki felt something pull at him, as though the forests beyond the farms were whispering to him, bidding him come hence. At night he could almost hear them in his dreams. Admittedly, this notion terrified his parents to no end; while the area was not known for the ferocity or abundance of its Grimm they still lurked out beyond the walls nonetheless, and it wasn't unheard of to find the remains of travelers along the road to the nearest towns. Words of caution were urged, and the boy obeyed... mostly. One muggy summer's eve, while the family was bringing their harvest to market, the forest's summons became too much. Half in a daze, ten year old Budonoki wandered from the camp and stumbled through the trees as if lured by a siren's song. At the time, all he could remember was that it was beautiful, more beautiful than anything he'd heard in his entire life. You might expect that this is when the boy would have his first fateful encounter with the creatures of Grimm, but no -- the entire night passed without incident, and the next morning his terrified family found him fast asleep among the roots of an oak tree. They had not only feared the worst but literally been forced to fend off a Beowolf in their search, not to mention hearing the distant howls of a whole Beowolf pack, yet the unarmed child had spent the whole night in the creatures' territory and suffered no harm. His family passed it off as impossible luck, a fluke of good fortune and childhood innocence, and after a good scolding they thought little more of it for almost a year. That was when a wandering Huntress sojourned in the family farm while passing through the area and discovered, much to her astonishment, that the child -- who had never had any formal training -- was generating an Aura with so much natural ease that even he didn't realize he was doing it. Much discussion followed, with the conclusion drawn that something must have happened in the forest that night, something that awakened young Budonoki's soul. The boy's talents would be wasted on a small farm, or so the Huntress made her case that the family, and asked them to entrust him for training to one of the Academies. Haven seemed the logical choice, and after some consideration the boy's parents agreed. This was, after all, his chance to make a better life for himself. With tears and hugs he was sent off on his way to a much bigger, much stranger world than he had ever known. Being only twelve upon arriving in Mistral, Budonoki was entrusted to a small preparatory boarding school in the city's mid-level districts. It was here that he discovered his thirst for knowledge, hungrily scouring the school's library for any tome that sparked his curiosity -- and there were plenty that did. History, art, science, philosophy, his young mind soaked it up like a sponge and went back for more, spending a great many nights reading under the blankets by flashlight long past the official lights-out call. Along the way he also discovered a passion for the natural world, feeling just as drawn to the vast stretches of green around the city as he had the bordering forests of the humble farm. Luckily the city's elaborate gardens and parks sated the itch for nature he so often felt; it was there that Budonoki often found himself when he needed calm, or just an escape from those among his classmates who bullied him for having "beast ears". Bringing his two passions together brought out the best results: if given a chance to study in the school's vegetable garden, which he often did, Budonoki's mind became incredibly sharp -- his test results, although always strong, were absolutely flawless when the season was warm and the weather agreeable. Nature, clearly, brought out the best within him, and when pressed he would just remark that he felt "more aware" among the greens and leaves and blossoms. This carried over when practical combat training began; in the school's practice room the young man was a middling fighter at best among his peers, but out on the grass he moved with a surety that seemed nearly preternatural. Confused and fascinated, the teachers consulted with the staff at Haven, concluding ultimately that a Semblance was likely at work here. When he began his first year at Haven four years later, Budonoki was a capable young student but more scholar than warrior. He soon began to find himself left behind. As word of his nature-focused Semblance spread he began to lose him the advantages he'd once enjoyed at the lower school. While he remained a model student academically he struggled in practicals, especially sparring -- even when matches were held outdoors his opponents had largely figured out that assaulting the local greenery or removing Budonoki from it turned him into a distracted, easy opponent. Feeling himself slipping but not wanting to give up on becoming a Huntsman, Budonoki caught wind of an inter-academy exchange student program and signed up at once, in hopes that new environs and new teachers could help him improve as a warrior. A few months later he was on an airship headed to the kingdom of Vale, whereupon he would end up partnered with a striking young woman named Sienna Andraste and on a team of one young Alec Chadwick. Things were rough at first as cultural and personal differences were ironed out, but by the end of the first semester the teammates were inseparable. Budonoki petitioned Haven for permission to stay on as a full student of Beacon, a petition which was accepted. The next three years passed almost as if a golden dream, flush with camaraderie and victories and the endless vigor of youth. By the time Budonoki graduated he was not only the intellectual equal of many of his teachers but a competent Huntsman with either his staff or his bare hands. Feeling indomitable, the team decided to stick together and see where their new careers would take them. The turmoil of the Faunus Revolution initially seemed far away during those days of simple heroics and warm-hearted revelry... though Budonoki could never quite bring himself to forget about his homeland of Anima, nor the plight of his people there. When Sienna died a terrible death in combat, the team shattered and began to drift; Budonoki, for his part, could no longer ignore the call to defend the Faunus of Anima from the injustices and aggression they suffered. For a period of two years he aided a resistance group which operated out of Anima's woodlands and forests, using his talents as a scout to keep his fellow freedom fighters concealed from retaliation while also learning how to do the work of a field medic. 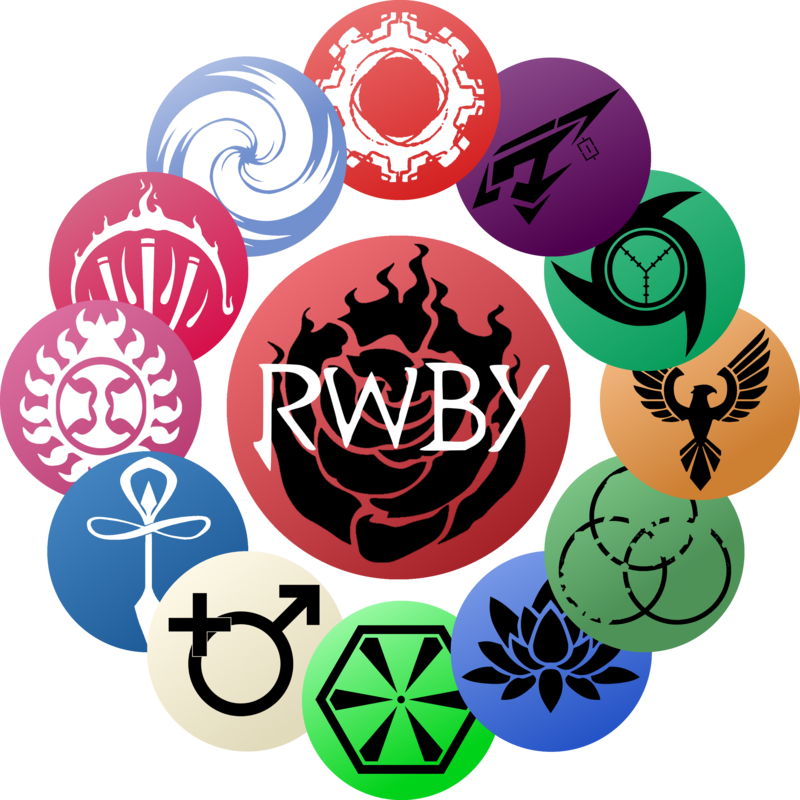 The Faunus Revolution, at last, came to a close. Now a very different man and having forsaken much of his idealism, Budonoki attempted to return home... only to find that his family farmstead was gone, attacked by Grimm and evacuated during the war. Lacking direction and in turmoil within himself, Budonoki wandered for a few years and eventually aligned himself with a small order of monks and mystics who practiced an ancient, Judo-like form of martial arts as well as deep meditation. Five years of training and soul searching with the monks allowed him to recenter himself as a person and tap into depths of his Aura and Semblance that the ignorance of youth and the strife of war had nearly blinded him to. He had forged himself into a warrior, yes... but he was not a creature of war. Even during the Revolution he had very seldom shed blood, spending nearly as much time patching up his comrades as he had fighting humans. No... his way was different, he realized: a fight to protect life, not to take it. Finding himself restored and whole within, he said fond farewells to the monks and set out once more. He instinctively felt there was a new path for himself, and knew with certainty that he was meant to be a healer just as much as a protector. Starting over again in a new profession wasn't easy, but Budonoki dedicated himself to his studies as intently as he ever had. After five years in medical school and a two year apprenticeship under one of the greatest surgeons in Mistral, Budonoki became a fully licensed surgical physician and went on to make a name for himself. He had his critics and doubters along the way, to be sure -- despite its diversity there was still plenty of prejudice against Faunus in Mistral, in some ways more-so following the end of the war -- but talent and hard work have a way of silencing bitter voices, especially in a field where able hands are perpetually in high, even urgent, demand. While travelling to various villages to fulfill his practicums he took an interest in plant-sourced remedies, and here his deep connection with nature led him to several discoveries that would ultimately result in medical breakthroughs. Taking a strong interest in bio-engineering, he founded a small biotech firm called LifeWeave so that the work that he began was able to be carried on by others under his guidance. The company grew and prospered rapidly... but Budonoki, for all his talents, was no businessman -- after just a few years he sold most of his stake in LifeWeave and stepped down from ownership. He would still found ways to contribute now and then, and his departing arrangements made it possible to tap a limited measure of company resources as he needed, but other things were calling to him now. Dr. Budonoki is a quiet, sagely sort of person. Quick to listen and slow to speak, he gives off the impression of having a soul from an earlier time despite how easily he navigates the modern world. Not only is he the sort to drink rose hip tea while reading up on the latest medical breakthroughs, he has a penchant for trying to incorporate elements of nature into both his personal and professional life -- teaching classes outdoors (when the weather permits), filling his apartment with potted plants, that sort of thing. His outlook centers upon careful consideration, balance, and avoiding unnecessary conflict, which is reflected in his teaching style through giving his students as much chance to explore and reach their own conclusions as possible. The elephant in the room, of course, is that Budonoki is a Faunus, something he does not try to disguise. Though he largely keeps his views on matters of human-Faunus relations to himself he does feel great sorrow that, with all the true monsters in the world, humanity will so often look to those who are different from themselves as yet more monsters... and, in terrible irony, sometimes act monstrously themselves in response. He has no love for the White Fang, seeing their violence as misguided and repeating a senseless and destructive cycle; people, he has long since realized, cannot be forced into changing their beliefs and prejudices, and that far too often deeds done in the name of "justice" are just as guided by fear and othering as the worst of crimes. If anything, he views teaching as the surest path to change -- a major reason why he sought to come back and work at Beacon. Despite what one may think, Budonoki's Semblance doesn't effect his eating habits quite as much as it might. Having grown up on a farm he is long since used to living off the land, and as a biologist he understands the necessary cycle of seed-bearing fruits and vegetables (viewing them as "offerings of the land"). However, he tries to avoid plant foodstuffs he views as "made through suffering" -- chiefly saps and sugarcane. As a consequence he has long since weaned himself off of most common sweets, opting instead for honey or sugar derived from sugarbeets. This awareness of food sourcing extends to meat as well, leading him to consume fairly little beef, poultry, and fish and commonly substituting tofu in their place. Many spices, chiefly those derived from roots and stems, are out as well -- he concedes, however, that leaves are to a plant much like hair is to a person and can, within respectful limits, be removed without causing lasting harm. Some would say it's a bland way to live life, and Budonoki doesn't judge them for their choices, but for him it is about facing nature with a clean conscience. To the surprise of many, Budonoki's hobbies and interests extend beyond gardening, meditation, research, and rose hip tea -- he's also a surprisingly talented dancer, for one thing, with an excellent sense of rhythm and movement. He knows and practices a little bit of street magic every now and then, far preferring the sort of illusions that involve making objects vanish and reappear to what he views as the "uninspired" card tricks and number games many performers rely on. Despite having the money to afford a house in the upper class area of the city, Doctor Budonoki opts instead to live on the top floor of a tall apartment complex in part of the residential district not far from Beacon. Not only does it give him a quick and easy commute to work, but it has other advantages as well. As part of his lease agreement for the apartment itself Budonoki was able to install a large shatter-proof glass greenhouse on the roof of the apartment building, taking advantage of the elevation and open sky to more easily create and control growing conditions. Here he experiments, trying out various innovative approaches on an assortment of plant species. Of particular note are his experiments with Dust as a soil additive: dozens of plant varieties are painstakingly cultivated in premium soil containing many types and saturation mixes of Dust in it. It was from a personal research bed much like this that he grew his Vine, and he often returns it to a special soil bed here to nourish and restore it. It also turns out that carefully limited Dust exposure can lead to simpler, but still remarkable, changes in various plant characteristics. Under low light conditions some of the plants he grows seem almost to shine and shimmer; the greenhouse's hot peppers can actually cause people and animals who eat them to literally breathe fire (with little to no control, it should be warned) for up to fifteen minutes, and those are just a few of the botanical wonders he has wrought. None of the research is at a stage where Budonoki is ready to share his discoveries with the world just yet, but it does make for quite a tour. If you're invited to visit, be sure to try the blueberries! The apartment itself is decorated in a very Asian style in keeping with certain traditional aesthetics from Anima, though with the occasional modern flourish added in for effect: floor cushions and woven rice mats, shōji and darkly laquered low-set furniture, and many types of potted plants scattered about are somehow harmonized with bookcases full of texts on medicine, philosophy, and teaching, a holographic TV screen, and a handful of abstract art pieces hung upon the walls. For those with the proper mindset, Doctor Budonoki's apartment is a place where you can simultaneously lose yourself and feel right at home, a refuge of thought and stillness overlooking the city. Budonoki's Aura is a fresh fern green, which chiefly becomes visible when he's meditating. His Semblance is known as Verdant Sense, and confers several benefits. In simplest terms, Budonoki "feels" the plant life around him as a type of perpetual sixth sense. When someone steps on a blade of grass or brushes against a fern, if he's close enough he'll sense it in the back of his mind. If a tree is scorched by flame or carved into by a blade he will "hear" it "cry out" in suffering; if a person or creature is perched in its branches he will "feel" it sag and "hear" the tree "sigh" from the added weight. This early warning system also doubles as a tracking aid: should he come across the path a person or creature took through the underbrush he can trace the "memory" of their passing through the vegetation, even up to a full week after the fact (though fresher trails are, by far, better). The more greenery around him the sharper his Verdant Sense becomes, going from virtually nonexistent in an urban setting to shockingly accurate in dense jungles or forests. To put that in practical terms: if a Beowolf were to walk across a grassy yard in a village he would feel a 'presence', have a rough idea of where it was and how big it was, but little more, while in a forest he could at once identify the Beowolf, be able to guess at its strength, and know whether or not it was wounded by the way its body moved, all without ever so much as seeing the creature. This awareness extends beyond physical bodies: he can sense nearly anything that effects the local plant life, much as if the foliage were speaking directly into his mind. The standard range of his awareness is a 50 foot radius, giving him decent coverage of his immediate surroundings, but this can be expanded ten-fold if he sits, calms his mind, and attunes himself to a meditative state. The more surrounded by nature Budonoki is the more easily he can achieve this -- he cannot, however, move or fight without breaking his meditation in doing so. As you might expect, the Verdant Sense means that Budonoki is the master of his surroundings in any sufficiently green area, making it child's play to avoid threats and launch ambushes. His Semblance, however, has been finely tuned through experience and deep introspection, strengthening the bond between Huntsman and wilderness yet further. When fighting in forests or jungles Budonoki's Aura is bolstered as well: he strikes harder, runs faster, heals from injuries quicker, and shrugs off Aura damage more easily. To put a number to it, his combat attributes are at 150% of their normal levels while in this boosted state. He also becomes a blind spot to the emotion-senses of Grimm when boosted, meaning that if they don't perceive him with their regular five senses they won't even know he's there. There is a major drawback to this Semblance, one that can be exploited by a knowledgeable enough -- or simply destructive enough -- opponent: cause enough damage to the local flora and Budonoki's Verdant Sense can become overloaded with "screams of pain" from the vegetation. The greater the damage, the worse the experience is for him: he can shrug off the sensation of a tree being smashed apart thanks to years of experience and focus of will, but put him in the middle of a raging forest fire or other large-scale devastation and not only does he immediately become disoriented and unable to fight effectively, he risks going catatonic from prolonged exposure. Nature is Budonoki's heaven... but should the greenery be plunged into hell he will be dragged down with it. Budonoki is also a fighter deeply in tune with his Aura, and as such can wield it expertly. His bare hands can project concentrated Aura to form protective barriers up to two feet wide or, alternatively, deliver Aura-infused strikes that cause small destructive shockwaves on contact (much the way Lie Ren and Fox do). Using these techniques can be taxing on his Aura, however, and as a result any Aura damage he takes while using these techniques or up to a minute afterwards hits twice as hard as normal. Budonoki fights as a martial artist does, whether using the Vine, his staff, or his hands and feet. His approach to combat is to engage up close and personal, relying on reflex, agility, and skill to create openings in his opponents' attacks. As far as physical attributes go he leans heavily towards speed over strength, able to dash about rapidly and with great precision in even complex, busy spaces. With the exception of Grimm, however, he typically fights to disable his opponents rather than destroy them, preferring to do as little harm as possible in order to resolve a conflict -- this sometimes causes him to underestimate an opponent or let a fight drag on longer than it ought to, which can and will come around to bite him. In a fight against human or Faunus opponents he will often target pressure points; he is knowledgeable enough that a few good strikes once someone's Aura is down can numb their arms or legs for a solid five minutes or more, or outright render someone unconscious. Against strong Grimm he pivots to a strategy of luring the creatures onto ground that favors him, utilizing terrain to gain an advantage and expose weak points, all with the goal of ending the fight as quickly and with as little destruction as possible. As physical resilience is not exactly his strongest attribute, Budonoki has learned to favor Judo-style grapples, throws, and disarming maneuvers. He can take a hit, certainly, but he can't take many, especially when away from the lush grounds that grant him combat advantage. He's also at a disadvantage when fighting foes at long range, as both his fighting style and choice of weaponry tend to focus on close and mid-range combat almost exclusively. First Aid Salve: One of the many products of the doctor's research, this salve is a medical aid intended to treat standard combat wounds, accelerate Aura-based healing, and stabilize the critically injured until they can be properly cared for. It looks like a green paste and has the smooth, spreadable consistency of chocolate pudding while smelling strongly of bitter herbs (and faint hints of nutmeg, for some reason). This topical salve is a densely packed slurry of nutrients and biological building blocks, along with a special Dust blend designed to stimulate and accelerate the proliferation phase of healing -- when applied to an open wound the salve encourages both body and Aura to focus on rebuilding nearby tissues, serving like a rich supply drop in the body's fight to restore itself. As a result the body increases the rate of producing scar tissue and knitting itself together in the effected area by around 25%; if combined with an active Aura, even a weakened one, a person will heal at a rate almost 50% faster than they would otherwise. The salve was originally formulated to serve a post-surgical role but has shown itself versatile for a wide array of uses. While it cannot replace the work of a medical professional should someone, for example, get stabbed through and begun bleeding out, it can act as a stabilizing agent until help arrives. Budonoki always keeps at least three doses of salve on his person and will stock up if preparing himself or others for a dangerous mission. The salve is still technically in clinical trials but LifeWeave expects to bring it to market within a year's time; the doses Budonoki carries are from a personal supply. Side effects include headache, mild fatigue, dizziness, and faintly glowing skin in the applied area. Less than 2% of trial participants experienced troubled breathing, accelerated heart rate, nausea, blurred vision, and brief loss of consciousness while using this product. If you are allergic to any form of Dust you should not use this product. Talk to your doctor and see if First Aid Salve is right for you (patent pending). Primary Form: The weapon does not so much have 'forms' as it does 'settings' -- this staff, a very simple and unassuming metal pole in appearance, has on its main segment several recessed buttons which toggle the length it extends to. Due to the wonders of Remnant's micro-engineering technologies the staff can collapse down to being a mere foot long (for easy storage) or extend to an almost mind-blowing thirty feet long, all with the press of a button. The micro-hydraulics that drive the lightweight segmented metal lengths are top-tier tech, enabling the staff to go from fully collapsed to full extension in just over two seconds, making it a viable countermeasure when facing foes at close or moderate range. It is, ultimately, just a (variable) length of metal -- this weapon has no gun mode and cannot strike foes at any further out than its reach. It's standard combat length is just shy of six feet long, meaning it is very similar to a bo staff in practical use. History: Budonoki has had many staves down through the years -- in his youth he fought with a blade-tipped staff that was functionally no different from a spear or halberd, during the Faunus Revolution he brought into battle a staff with electrified whip-like extensions intended to shut down anyone who engaged him in close quarters, but during his time with the monks Budonoki put aside these warlike implements. Now, as a teacher at a school to train warriors, he takes up a staff once again -- one designed not to slay, but to defend. The piece was commissioned from an expert weapon smith, intended to incorporate high-end design and sturdy, lightweight alloys with a simplicity and directness of purpose. Budonoki tends to rely on it chiefly in situations where he'd rather not reveal what his other staff, the Vine, is really capable of. Name: 'Project Triple Helix-V, Specimen 27-08: Aura-Responsive Structured Bio-Engineering Prototype with Dust Aspects', AKA "The Vine"
The Vine's most practiced form by far is as a simple wooden staff -- in this state it curls tightly in on itself and forms a gnarled woody exterior shell which is almost as strong and resilient as metal. The staff form is four and a half feet long and entirely unassuming in appearance; to look at it you would never know Budonoki had painstakingly engineered it in a lab instead of merely picking it up on a walk through the woods. As the Vine is attuned to his Aura it also channels it very well -- while all weapons of Huntsmen and Huntresses are conduits for their Aura, a living conduit like the Vine is able to benefit from the defensive and healing qualities of Aura particularly well, giving the staff a resiliency few other weapons can claim and the ability to mend itself over time. The Vine can be coaxed by Budonoki to rapidly bud, self-pollinate, and produce a softball-sized spherical fruit that resembles a pomegranate. For the record, this is not the sort of fruit you want to try and eat -- when lobbed at an enemy they rupture in a large, messy burst two feet wide that covers targets in sticky amber-colored sap. The sap rapidly hardens, making it difficult for large targets to move and potentially immobilizing smaller targets (especially when multiple doses of sap are applied). If the Vine is fed a Dust crystal these fruit-grenades can also carry various elemental bursts (see Dust Functions), not all of which produce sap. The Vine can produce one fruit every two minutes regularly, up to fifteen a day before its ability to fruit is exhausted; to accelerate the process Budonoki can "plant" one end of the staff into the ground, causing it to create temporary roots and draw nutrients from the soil. In decent quality soil this can accelerate fruit production to a rate of one every twenty seconds; if the soil is poor (sand, for example) this confers no benefit. The Vine can also be "planted" in water to engorge the fruit, resulting in sap bursts up to six feet wide instead of the standard two. In this form the Vine is functionally little different from it's wooden staff state, though the woody exterior becomes thinner, greener, and somewhat more prone to damage to as the plant focuses on growth instead of protection. In its other forms, the Vine doesn't so much resemble a vine as it does a stick; this one is the exception. At Budonoki's prompting the Vine sheds its wooden shell and becomes a flexible, elastic, and nimble green whip which moves not just when swung like a conventional weapon but also based on thought, reacting reflexively to subtle shifts in Budonoki's Aura. Fully extended, the Vine as a whip normally has a reach of up to fifteen feet... but this can be expanded. Instead of actively wielding the Vine in this state Budonoki can "plant" it in suitable soil, causing it to grow -- and rather fast at that. It can double its length in less than a minute and sprout new extensions just as fast, meaning that within ten minutes the Vine can spread to cover a wide area. As the Vine grows in length it also becomes stronger; Budonoki's favored tactic when doing this is to have the Vine curl around and immobilize enemy targets, although it can be used in other ways as well. Vine tendrils can extend underground, reaching up snag feet, crumble loose terrain, or even create tunnels once they become long enough. If high levels of force are needed the Vine tendrils can weave together into a solid mass, lashing out with enough force to shatter the body of a Petra Gigas. In this state the Vine can regrow just as rapidly as it grows, meaning that hacking away at its tendrils will only delay it for so long. The one downside to this rapid growth is that Budonoki must remain completely still while directing it, entering into a meditative state which, if disturbed by injury or interruption, will cause the Vine to rapidly wither back down to its original size. Therefore its a bad idea for him to use the Vine in this way without allies to cover him, as it renders him dangerously exposed. Feeding the Vine a Dust crystal in this state causes it to grow inch-long thorns which carry elemental attributes (see Dust Functions). It should be noted that powdered or granular Dust confers no combat benefits to the Vine -- to have any effect it needs a Dust crystal, which it will take into itself and digest to create the resulting effects. Air Dust -- Causes the erupting fruit to explode over a much larger radius (15 ft) and with enough force to knock over a human-sized target who takes a direct hit. Ice Dust -- Replaces the sap inside the fruit with a bitterly cold liquid which freezes on contact and produces a large cloud of fog over the span of five minutes before evaporating (this can be extended or shortened due to ambient temperature and weather conditions). Best used with engorged fruit for maximum effect. Fire Dust -- Instead of hardening, the sap produced by the fruit becomes highly acidic, enough to cause a painful burn on contact with exposed skin. If ingested by a creature with no Aura (fruit thrown into a Grimm's mouth, for example) the acidic sap can burn its way through internal organs and kill the victim from the inside out within a handful of minutes, causing incredible pain in the meantime. Earth Dust -- Strengthens the sap, resulting in it taking on the durability of concrete as well as a dark, earthy hue once hardened. While hardening the sap becomes elastic and rubbery, making it especially difficult to break free of. Electricity Dust -- Instead of sap, the exploding fruit releases a ten foot wide cloud of semi-translucent off-yellow vapor which, when breathed in, has a numbing effect. The vapor cloud can linger for up to two minutes before losing strength, and the longer a person or creature stays in the cloud the greater the effect. Full exposure has the benefit of severely dulling pain but also making it hard to feel one's arms and legs; this effect can last for up to ten minutes, with diminished exposure resulting in lesser effects and quicker recovery time. Gravity Dust -- Instead of sap, the exploding fruit produces a dim purplish-gray cloud which lingers in place for up to two minutes, regardless of the effects of wind, shockwaves, or other forces which would disperse a common haze. Anything that passes through this cloud experiences 10% less gravity for roughly a minute, making it possible to run faster, jump higher, strike harder, or even slow down falls if used properly. Ice Dust -- These razor-sharp pale-blue thorns bear an icy chill but are susceptible to flame; Budonoki can cause the Vine to launch them like throwing knives at targets. The effect lasts for one minute. Earth Dust -- The curved hook-shaped thorns produced by an Earth Dust crystal may not be as sharp as the Ice variety but they are impressively strong and difficult to break off. The Vine itself also hardens and becomes slower but more damage resistant. The effect lasts for one minute. Electricity Dust -- Electricity sparks and arches between these needlepoint thorns like a live electrical circuit, shocking anything they touch. The individual thorns are fragile but damaging them causes a brief electrical surge, doubling the pain for anyone unfortunate enough to be in their grip. The effect lasts for one minute. History: The project which gave rise to the Vine was inspired by an old legend commonly told in the area of Anima where Budonoki grew up. "The Story of the Great Forest", sometimes referred to as "The Tale of First Weapons", tells of a time before mankind's discovery of Dust -- a time when the world was still young and the soul of nature itself resided in a vast forest of immeasurable size. The story goes that in those days the creatures of Grimm scoured the earth, their destructive impulses bent upon wiping out nature... and, over many seasons, their perpetual assault on the Great Forest weakened it. Before the darkness could overwhelm the forest entirely it entrusted five seeds to a great sage, desiring that they be planted across the entire world that nature might endure. The seeds did indeed sprout and give rise to forests of their own, covering the world in lush green life, but each one also grew something special: an expression of the Great Forest's power, a unique living tool by which the sage and a chosen few might defend nature against the dark forces. The seed which grew in the east became known as The Leaf, and called a light-hearted wanderer to don it as a cloak and command the grace of the wind itself. The seed grown in the west gave rise to The Root, summoning a vigilant farmer to bear it upon his feet and legs and command the strength and stability of the earth. The seed of the south, The Thorn, called a fierce warrior to take it up as a might blade, and the seed of the north, The Bark, bound itself to a motherly protector as an unflinching suit of armor. The sage, seeing the Great Forests' gifts, carefully tended the last seed himself -- it grew into a long and reaching Vine, deeply connected to the land and the pulse of the world and, in the form of a staff, the Vine and the sage traveled the world and tended to the first verdant shoots of human and Faunus civilization. Whether there is any truth to this tale or not, it inspired Budonoki as a young child and has continued to captivate his imagination well into his older years. When he first began experimenting with bio-engineering the idea of creating a plant hybrid that emulated the seeds of the Great Forest was just a musing, an idle notion in the back of his mind... but also one that refused to go away. Once LifeWeave became an established company he had the resources on hand to find out what was possible, and what followed were many long nights in a private lab splicing genes, infusing micro-doses of Dust, and carefully exposing the resultant seedling to his Aura in hopes of creating a bond. Even with Budonoki's Semblance giving him deep insights into each specimen the first 26 batches were failures, falling to mutations or simply being unable to cope with the changes taking place inside themselves... but upon crafting batch 27 something remarkable happened: one of the specimens began to evolve, not only coping with the alterations and Dust infusions but embracing them in a stable, responsive manner. Budonoki took great pains to nurse this specimen to full maturity, exposing it to his Aura as it grew until the plant almost seemed to respond to his thoughts. To say it became almost like a child to him wouldn't be an exaggeration -- he's been known to refer to the Vine as his "old friend" and speak to it like a person, going to great lengths to nurture it and improve its capabilities. Always nice to have more male Faunus (They are statistically underrepresented). Also if you ever do anything with First Aid & Field Medicine consider Diana very signed up I mean, more serious review stuff. Great appearance section, paints a picture as well as lets us "see" his personality in how he looks. When the story starts it's rather unclear what age he is, 'young boy' can refer to a lot when the character is 54 so would be nice to get an early inkling (More of a nitpick not a real concern). Personality and apartment are all good. Semblance is always on and powerful but situational and huntsmen (teachers in particular) should have powerful semblances. Similarly, the weapon is unique but as far as I'm concerned that is how teachers should be. Thanks for the feedback Vis. I think I've got the issues sorted out. - Added 8 years to his timeline to better align with the overall RP timeline, making him now 62. Also clarified that his woodland experience occurred at age ten, twelve on beginning at the Mistral prep school, and sixteen upon entering Haven (and later Beacon). - Toned down the restorative properties of the First Aid Salve to avoid LifeWeave med-tech being OP, making it less of a "health pack" and more of a gradual regen boost. - Added to his Occupation section to better represent his Huntsman days. And now I will definitely be planning a class for Diana to jump into! I'm approving this character, though I do have one thing to mention I don't think was mentioned in Vision's review. Usually, users need the permission of the staff to make a professor character. Somehow, that rule was apparently lost in the transition to this site so you had no way of knowing. Luckily, you're trustworthy enough. Approved.